Here's to even more innovation in the next couple of years! After a ten-long years, Samsung has already made many innovations and extended their Galaxy series beyond what we could have imagined. Through the years, the Galaxy series have changed the way we looked at our screen, and helped push smartphone photography to its limits. This has earned the Galaxy series its place as one of the biggest smartphone lines in the industry. So let’s go down the memory lane and see the achievements of this tech giant. 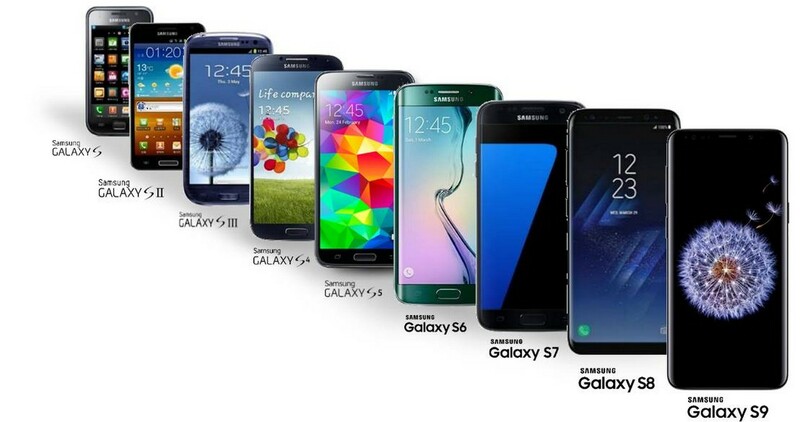 2010 – Was the year that the Galaxy S was introduced alongside the Super AMOLED display that set the standard of screen technology and became the foundation and inspiration for today’s Galaxy screens. At the time, the display was one of the most innovative screen tech, producing vibrant colors and great detail. 2010-2012 – With many modes to choose from the Galaxy line introduced tons of way to capture moments in the users own style and introduced the very first Panorama mode in the Galaxy series. While the Galaxy S3 allowed a 20-frame action sequence shots with it’s very own burst mode, a rather impressive feature considering it is just a mobile device. 2014 – Fast forward four years and Samsung took a curve from the standard formula as they curved the screen for the first time with the Galaxy Note Edge. Weird as it may seem, the Edge display allowed a unique and easy way to view notification with ease. 2016 – The Dual Pixel autofocus system allowed wider aperture options producing crisp and gorgeous shots allowing night photographs to capture night life with ease. 2017 – Samsung seems to be never satisfied as they decided that they should break their own achievement and go even further with the Infinity Display. So they decided that bezels are a things of the past by minimizing the phone’s bezels which allowed the the screen to expand without enlarging the actual unit. The Infinity Display became the flagship feature of the Galaxy S8 and S8+ when it debuted. 2017 – Galaxy Note 8 was Samsung’s first attempt for a smartphone with Dual Camera, incorporating both wide-angle & telephoto lenses. Gaining access to even more shooting modes, the setup enabled users to take quality photos. 2018 – The Galaxy S9 & S9+ not only excelled in capturing photos, it also made a splash with it’s Super Slow-mo that records videos at 960 frames per second—four times slower than regular slow-mo. A feature, the Galaxy S9 & S9+ a device for those who wants a more cinematic feel in their personal moments. For ten years Samsung continues to amaze consumers with their innovations that even today with their latest addition to the Galaxy series, many are amazed which makes us excited about what else could they bring in the future. Previous articleMeet the Nokia 9 PureView — a smartphone with five rear cameras!